There is absolutely no way around it – the twenty-third hexagram is a gigantic, catastrophic bummer of epic proportions. It’s almost definitely the darkest depiction we have covered so far. The elementary symbolism should be apparent just from looking at the shape of the hexagram itself. There’s only one light line left, and it’s leaving. The forces of darkness are about to utterly dominate. Accordingly, in the cycle of the year, we’re talking about late October and November, the time when the harvest is complete and we’re descending fully into the months of darkness, hurtling towards the year’s darkest day. Not even the pretty mountains can help you now. 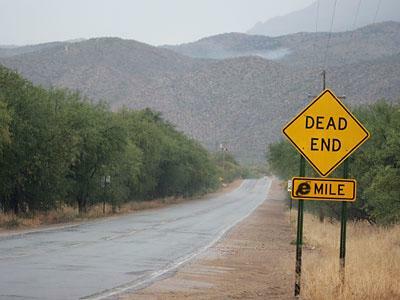 This is the dead end. There’s no way around it. You can’t bang a u-turn. You’ve just got to deal with it. Everything that was once strong has, as is the way of the world, been slowly eroded until it is about to disappear altogether for a time. The unkind, the soulless, the sleep-walkers, and the backstabbers, it’s their hour now. Their time to shine. No matter how difficult this is for your sensibilities and sense of moral standards, you can’t fight it. Any efforts on your part to combat the forces of darkness will just blow back upon you. This is a time in which you just can’t achieve anything. This isn’t a puzzle to be solved or a challenge to be overcome. It’s not a matter of your choices or reactions, for this situation is one of pure fate. The victory of darkness, after all, is a necessary component in a wholly comprehensive cosmic cycle, and that means we’re going to come across it as we go around that great wheel. It’s just a part of nature, just a part of the cosmos. The most important thing for us to remember is that there’s nothing cowardly about retreating into quiet inaction during such a time – in fact, it’s the only wise move available. Shut up, keep your head down, and ride it out. No different from any other part of the cycle, this too shall pass. 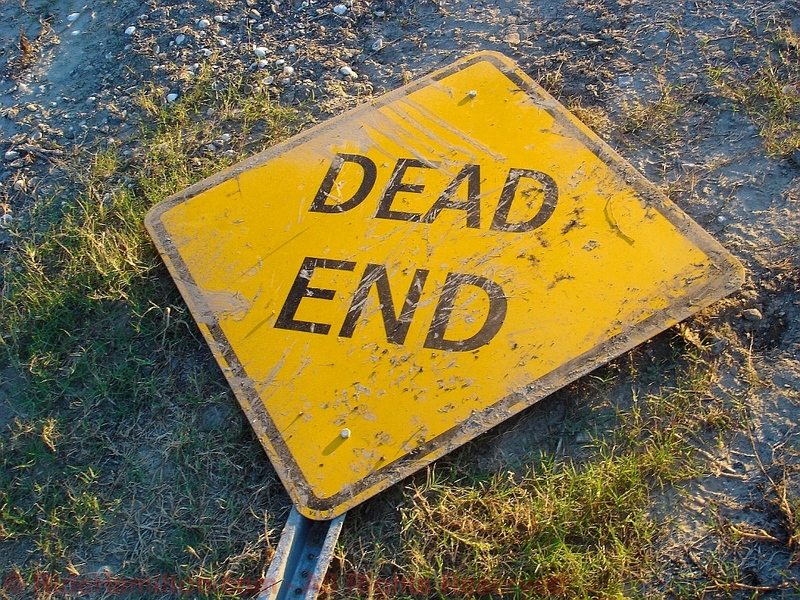 In the meantime, the lines paint a sometimes devastating portrait of specific slices of this fatal destination. They start off with the image of total disaster – your enemies are rising up en masse, destroying any personal infrastructure you may have in place and separating you from even your most loyal friends with loose-tongued gossip and trivial nonsense. It gets worse. Your enemies actually back you into a corner, and there’s nobody there to help you. This would be a really bad time to be stubborn and inflexible – you’ve got to adapt to the time and be unbelievably careful, and maybe you’ll escape by the skin of your teeth. Stay alive long enough and the moment will pass. We are then shown some lightening of this dark path, a place in which we are still bound by the ties of life to an environment of general evil, but now we have a relationship and alliance with a superior person who can potentially help us get out of this mess. Yet after this brief glimmer of hope, we are shown perhaps the darkest and most despair-filled line of the entire text – so far, at least. This is disaster. This is where your enemies have backed you into a corner, like before, but you definitely don’t survive it. There’s no avoiding anything here, your number is up. It’s over, and the good guys lost. I mean, this is just heavy. Too heavy, let it pass. Assuming that we don’t get caught in that specific moment of fatality, the last two lines offer at last some rays of clear hopeful light. Here, we come across not just relief but actual happiness. In the time of danger and upon reaching the dead end, we find that our ties to superior forces and people with souls of light are sufficient to ward off our advancing enemies. Their hostility, like flowers in so many national guard rifles, is transformed into harmonious unity, and everything goes well. And even if we do not encounter this kind of reverse-fortune bliss, there will come that time when we come out on the other side, no matter what – so long, again, as we haven’t been permanently killed. We walk out the other side, our enemies’ moment having peaked now fading, and we begin our own inevitable ascent again. Generally speaking, one helpful way to visualize this pessimistic avenue is by looking again at the physical hexagram itself and at that one final line of light. The best way to hang on in times like this is to retreat the whole of your being into that one final remaining strip of light, focusing all of your energy into holding and maintaining the position. Employing this approach, the likelihood that you can avoid losing absolutely everything increases dramatically, and you’re well prepared for the time when all of this passes. That one remaining line is now free to reverse its weakening, growing downward to repel the darkness. There’s even a political message to be had here. To effectively rule the people, power needs a base that’s truly broad-based and inclusive of popular support. The enemies, even in their ascendancy, don’t hold the hearts of the people, and thus whatever power they gain today can be taken back tomorrow. On the other hand, though it is not your time to participate actively in the halls of power, this is a good time to examine your own base of support and whether or not you have the broad support of your peers and kinsfolk. If you don’t, without trying to change the times, the quiet inaction of the present moment may prove a valuable time to begin gently cultivating such support, that perhaps your own eventual ascendancy might be accompanied by greater structural stability than that of your enemies. Good luck with this one, guys. Salaam. 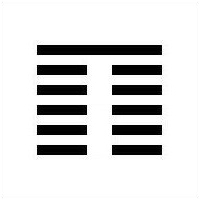 This post is the twenty-third of sixty-four in our Days of Change series exploring each hexagram of the ancient Chinese I Ching one by one. To sample others in this series – or go wild and read from the beginning – go here.